So, what’s pancit cabagan like? I asked my ever present pancit buddy as we were going through a plate of pancit batil patong at Ed’s Panciteria in Tuguegarao. She said that it’s a bit similar to what we were having now, except they use hard-boiled quail eggs and pork instead of poached chicken eggs and carabeef. Plus, she went on, it’s much more saucy. That got me really curious, with my love affair with pancit batil patong, I guess it really wouldn’t hurt to fall in love with another northern noodle dish. 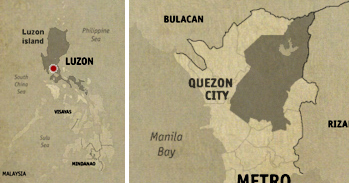 PANCIT CABAGAN IN METRO MANILA? YES! Fast forward some years later and I finally got to have a taste of pancit cabagan at nowhere else but at the town of Cabagan in the province of Isabela. It was as my buddy told me, except at Eddie’s Panciteria, where we had a plate of the said dish, they use chicken eggs. It took another year before I got to have a taste of Isabela’s favorite noodle concoction, and surprisingly, it was in Metro Manila. 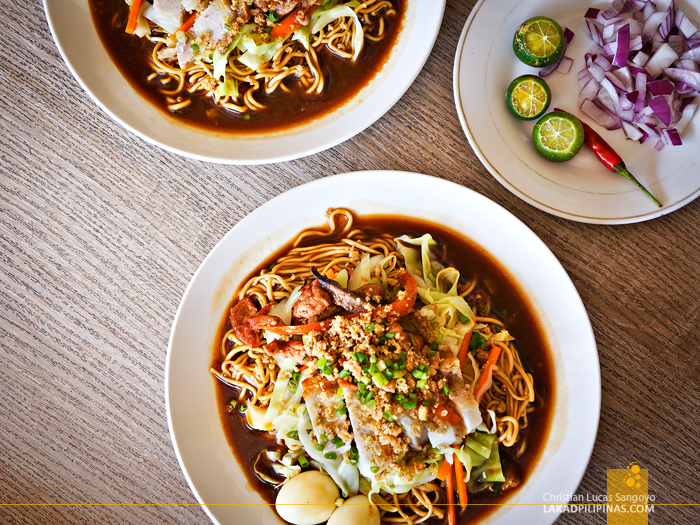 Yes, pancit cabagan is secretly making its way across the streets of the metro. I’ve heard about Mia’s Special Pansit Cabagan from a reader who recommended it after reading how crazy I was with pancit batil patong. The place is located a few minutes away from Welcome Rotonda, and since we’re passing through the area one afternoon en route to Quiapo, we decided to hop off the jeepney we were on and decided to give it a try. 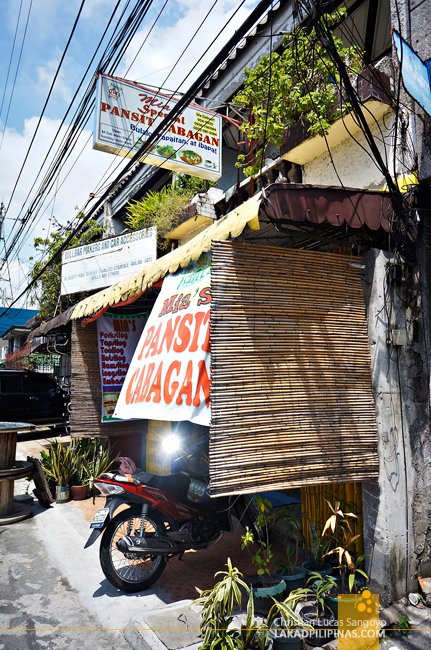 Like most panciterias in Manila, it was an air-cooled type eatery which directly opens to Quezon City’s busy N. Roxas street. It wasn’t stifling hot though, thank goodness for electric fans. 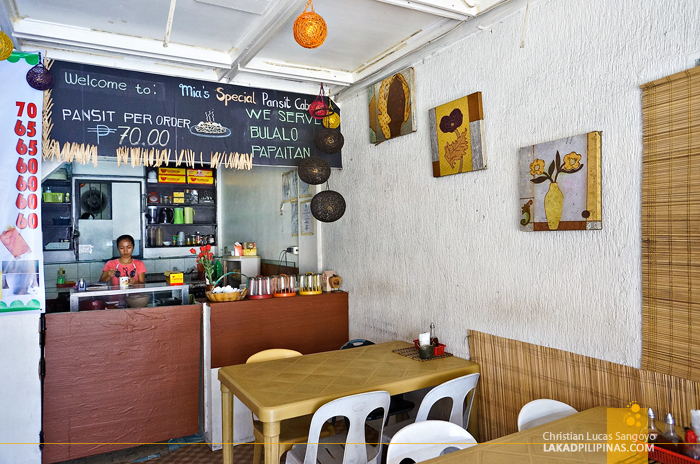 From their board, we saw that not only do they serve pancit cabagan, but they also have the usual silogs plus bulalo and papaitan—another popular dish from up north. We asked for two plates of pancit cabagan, a bowl of bulalo and a serving of papaitan. Please don’t judge us, we were hungry and Mia’s prices were quite affordable, haha. 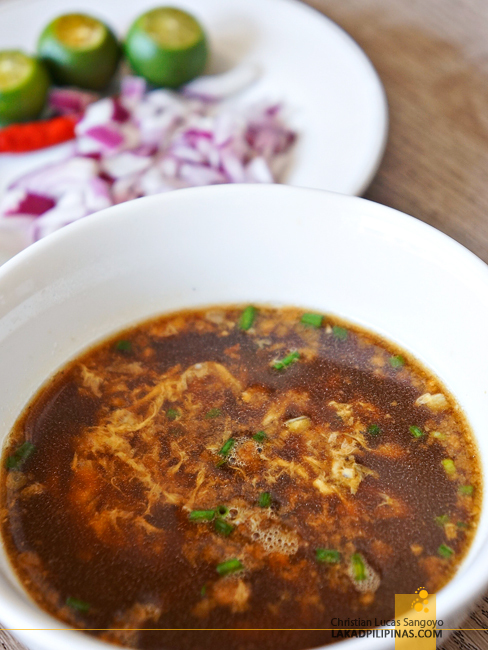 While waiting for our orders, we were served with a mini-bowl of soup which was very similar to pancit batil patong’s batil, an egg drop soup made from pork stock sprinkled with chopped onion greens. We were quite surprised, as this is usually not paired with pancit cabagan. Pastor Tom, the owner’s brother and current manager explained to us that they use it to keep customers from waiting too long for their noodles to arrive. 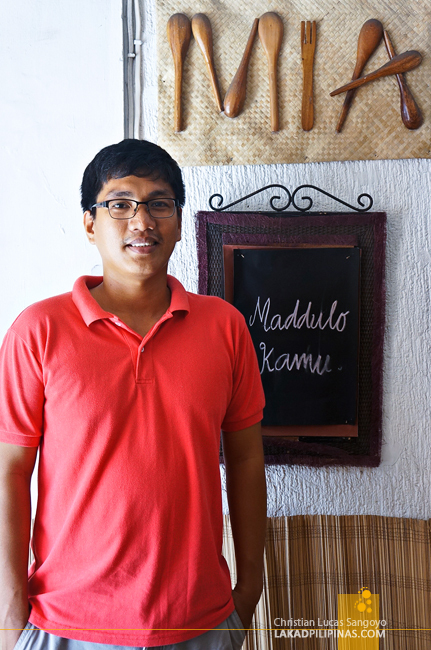 He told us that they cook their pansit on a per order basis for its best taste; and that takes a bit of time. Not a bad idea. The first one to arrive on our table was the papaitan. It looks quite similar to the Batangas goto we’ve had at Tagaytay’s Mahogany Market in that it’s made with nothing but innards. 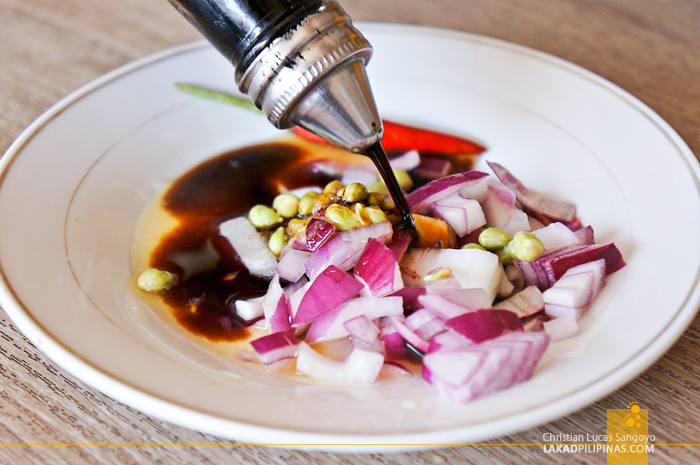 This dish is not for the faint of heart, literally and figuratively. It was quite good and has none of that funky malansa aftertaste usually associated with such dishes. In fact, we loved it so much that we ordered a cup of rice. Might as well, haha. PANCIT CABAGAN (PHP 70.00) FINALLY! We were halfway through the papaitan when our pancit cabagan arrived. It looked drool-worthy from looks alone. 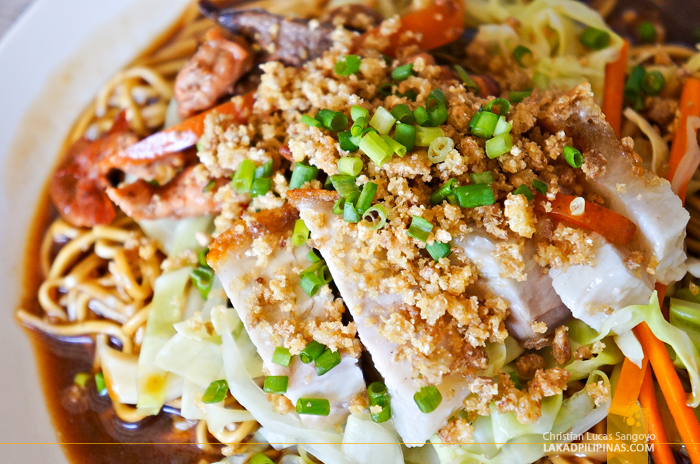 The miki or noodles, which is shipped all the way from Isabela, is topped by strips of carrots, cabbages, crushed chicharon, spring onions, pork igado and chopped crispy lechon kawali. Off the side, submerged on its overflowing savory sauce were two perfectly hard-boiled quail eggs. A quick mix of soy sauce, another one straight from Isabela, chopped red onions and calamansi and we’re digging through our noodles like we never had rice just a moment ago. 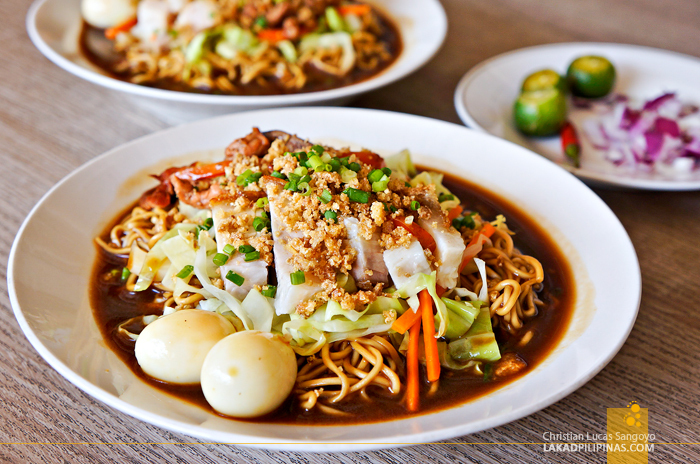 Mia’s pansit cabagan is really, really good! It was as legit as the ones I’ve had in Cabagan itself. It is worthy to note that their cook hails from Isabela too. Serving size is quite generous and might even be too much for people with small appetites. BULALO SPECIAL (PHP 120.00) FOR DESSERTS? POSSIBLE. For dessert (dessert?! 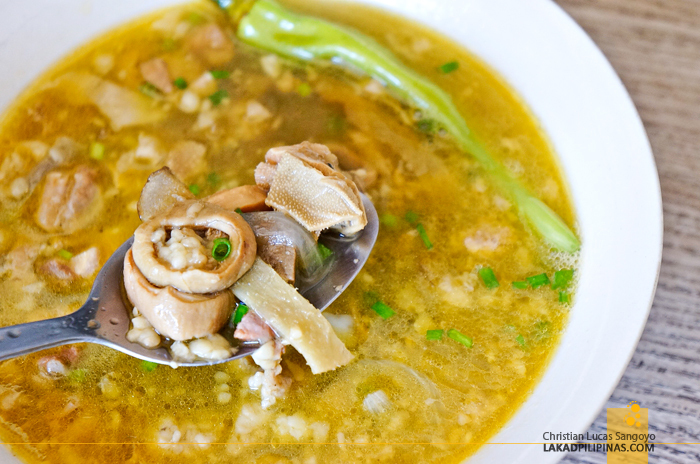 ), a steaming bowl of bulalo was laid on our table. Honestly, we were super full from the noodles, but a single sip of its hot soup promised heaven on Earth. 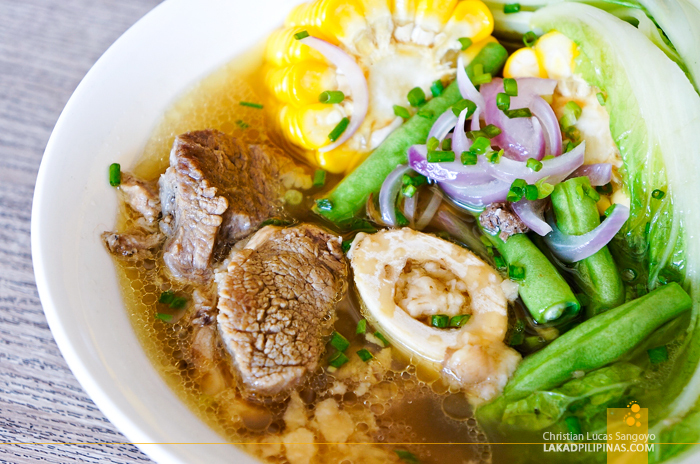 This is one bulalo I wouldn’t dare miss! So, what the heck, one more rice please! Oh may gawd! Hanggang ngayun di ko pa din na try yung mga pansit batil patong na recommended mo and now pansit Cabagan at bulalo naman! Ang sarap itsura pa lang. Paano magcommute papunta roon pagbaba sa Welcome Rotonda-Quezon Av?